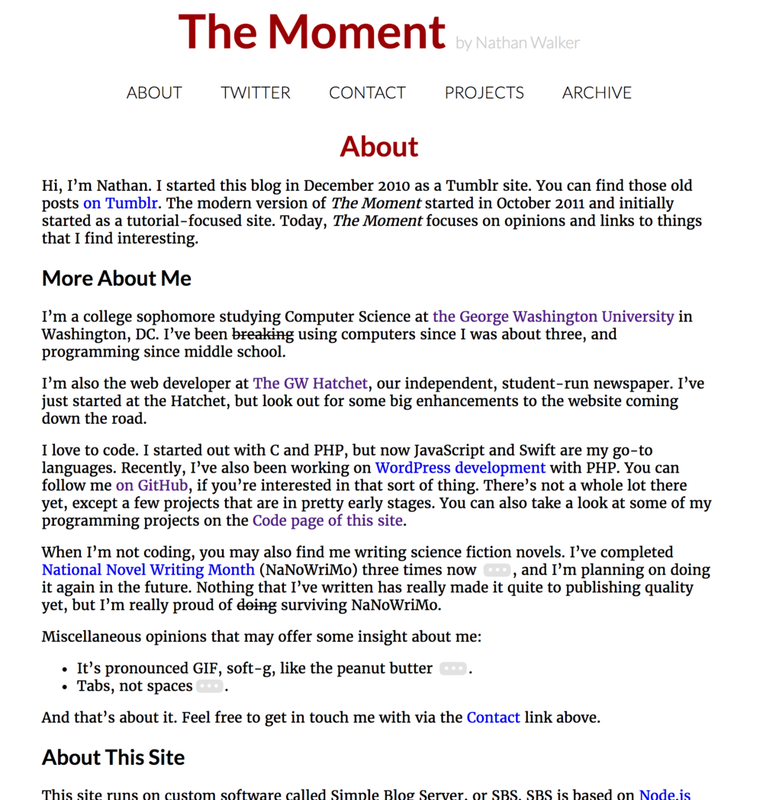 As a bit of a personal challenge and a summer project in 2014, I decided to build my own blog from scratch, including the CMS and the front end layout. This site is the result of those efforts. Initially, the CMS included an admin interface to write posts with and used a MongoDB database, but later it was revised to use a flat file storage system to reduce complexity. View this blog in action at nwalker.org.